understand, more maintainable and flexible. Design a duck pond simulation game, SimUDuck. to update the product every six months. 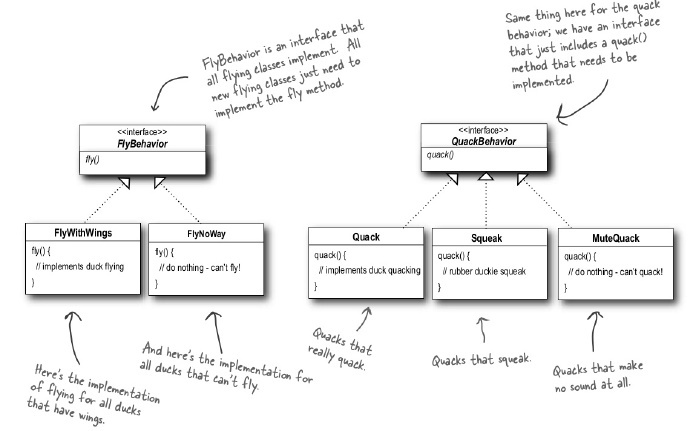 FlyBehavior and interface QuackBehavior (Maybe more). you’re composing with implements the correct behavior interface. implementation classes (Quack.java, MuteQuack.java, and Sqeak.java). implementation classes (FlyWithWings.java and FlyNoWay.java). 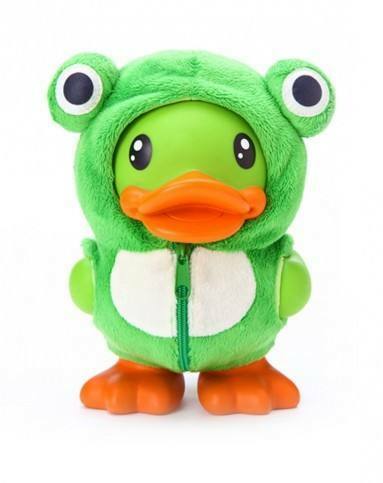 2.Make a new Duck type (ModelDuck.java). 3.Make a new FlyBehavior type (FlyRocketPowered.java). ModelDuck, and make the ModelDuck rocket-enabled. I’m flying with a rocket! independently from clients that use it.